#AceHistoryNews says the story of the “Lindisfarne Gospels” are part of our very fabric of Britain, this is how they came into being. An Eight Century monk’s artistic legacy is one of Britain’s greatest literary and religious treasures. 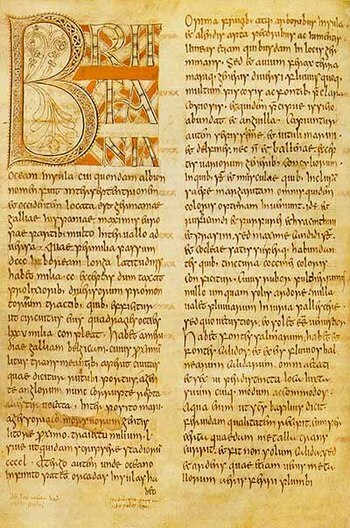 The Lindisfarne Gospels were produced more than 1300 years ago at the monastery of Lindisfarne on the Northumbrian coast. The single volume manuscript consists of 500 pages of beautiful calligraphy and decorative symbols. An Anglo-Saxon translation of the Latin text was added two centuries later and is the earliest known English version of the gospels. The book survived the centuries in spectacular condition and is now held by the British Library. Dr Michelle Brown, curator of illuminated manuscripts for the British Library, has researched the origins and craftsmanship of the work. Her findings are shared at an exhibition called Painted Labyrinth – the World of the Lindisfarne Gospels. The original manuscript is the centrepiece of the free event alongside an exact duplicate which visitors will be able to handle. Painted Labyrinth – the World of the Lindisfarne Gospels is at the Pearson Gallery, British Library, London. #AceHistoryNews says “Prince Albert Victor, Duke of Clarence and Avondale (1864–92)” was a member of the British Royal Family. He was the eldest son of Albert Edward, Prince of Wales (later King Edward VII) and Alexandra, Princess of Wales (later Queen Alexandra), and the grandson of the reigning monarch, Queen Victoria. From the time of his birth, he was second in the line of succession to the throne, but he did not become king because he died before his father and his grandmother. He travelled the world extensively as a naval cadet and joined the army, but did not undertake any active military duties. After two unsuccessful courtship’s, he was engaged to be married to Mary of Teck in late 1891.
was the serial killer known as Jack the Ripper but the claim is widely dismissed. #AceHistoryNews says Áedán mac Gabráin was a king of Dál Riata from circa 574 until circa 609. The kingdom of Dál Riata was situated in modern Argyll and Bute, Scotland, and parts of County Antrim, Ireland. Genealogies record that Áedán was a son of Gabrán mac Domangairt. He was a contemporary of Saint Columba, and much that is recorded of his life comes from hagiography such as Adomnán of Iona’s Life of Saint Columba. this defeat, and the annals report nothing of him until his death around six years later. #AceHistoryNews says lamplighter, historically, was an employee of a town who lit street lights. Lights were lit each evening, generally with a wick on a long-pole. At dawn, they would return to put them out using a small hook on the same pole. Early street lights were generally candles, oil, and similar consumable liquid or solid lighting sources with wicks. Another lamplighter duty was to carry a ladder and renew the candles, oil, or gas mantles. In some communities, lamplighters served in a role akin to a town watchman; in others, it may have been seen as little more than a sinecure. Watchmen were groups of men, usually authorised by a state, government, or society, to deter criminal activity and provide law enforcement. Watchmen have existed in various guises throughout the world and were generally succeeded by the emergence of formerly organised policing. In the 19th century, gas lights became the dominant form of street lighting. 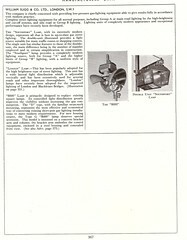 Early gaslights required lamplighters, but eventually systems were developed which allowed the lights to operate automatically. Gas lighting is production of artificial light from combustion of a gaseous fuel, including hydrogen, methane, carbon monoxide, propane, butane, acetylene, ethylene, or natural gas. Before electricity became sufficiently widespread and economical to allow for general public use, gas was the most popular means of lighting in cities and suburbs. Early gas lights had to be lit manually, but later gas lights were self-igniting. Early lighting fuels consisted of olive oil, beeswax, fish oil, whale oil, sesame oil, nut oil, and similar substances. These were the most commonly used fuels until the late 18th century. Chinese records dating back 1700 years note the use of natural gas in the home for light and heat via bamboo pipes to the dwellings. Public illumination preceded the discovery and adoption of gaslight by centuries. In 1417, Sir Henry Barton, Mayor of London, ordained “lanterns with lights to be hanged out on the winter evenings between Hallowtide and Candlemasse.” Paris was first lit by an order issued in 1524, and, in the beginning of the 16th century, the inhabitants were ordered to keep lights burning in the windows of all houses that faced the streets. In 1668, when some regulations were made for improving the streets of London, the residents were reminded to hang out their lanterns at the usual time, and, in 1690, an order was issued to hang out a light, or lamp, every night as soon as it was dark, from Michaelmas to Christmas. By an Act of the Common Council in 1716, all housekeepers, whose houses faced any street, lane, or passage, were required to hang out, every dark night, one or more lights, to burn from six to eleven o’clock, under the penalty of one shilling as a fine for failing to do so. #AceHistoryNews says Oswald Watt (1878–1921) was an Australian aviator and businessman. He was born in England and came to Sydney when he was a year old, returning to England for his education. In 1900 he went back to Australia and enlisted in the Militia, before acquiring cattle stations in New South Wales and Queensland. He was also a partner in the family shipping firm. 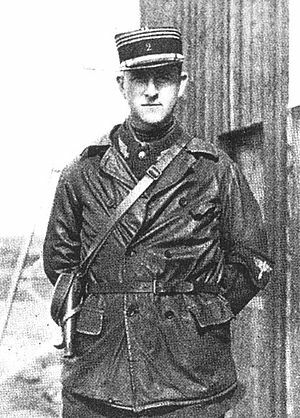 Becoming in 1911 the first Australian to qualify for a Royal Aero Club flying certificate, Watt joined the French Foreign Legion as a pilot on the outbreak of World War I. He transferred to the Australian Flying Corps (AFC) in 1916, quickly progressing to become commanding officer of No. 2 Squadron on the Western Front. By February 1918, he had been promoted to lieutenant colonel and taken command of the AFC’s 1st Training Wing in England. A recipient of France’s Legion of Honour and Croix de Guerre, Watt was appointed an Officer of the Order of the British Empire in 1919. He left the military to pursue business interests in Australia. In 1921, he drowned at Bilgola Beach, New South Wales. He is commemorated by the Oswald Watt Gold Medal for outstanding achievement in Australian aviation, and the Oswald Watt Fund at the University of Sydney. #AceHistoryNews says Adelaide Anne Procter (1825–1864) was a British poet and philanthropist. She worked for unemployed women and the homeless, and was actively involved with feminist groups and journals. Procter’s literary career began when she was a teenager; her poems were primarily published in Charles Dickens’s periodicals Household Words and All the Year Round and later appeared in book form. Her charity work and her conversion to Roman Catholicism appear to have strongly influenced her poetry, which deals mostly with such subjects as homelessness, poverty, and “fallen women“. Procter was the favourite poet of Queen Victoria. 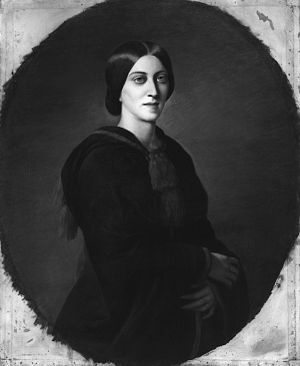 Her poetry went through numerous editions in the 19th century; Coventry Patmore called her the most popular poet of the day, after Alfred, Lord Tennyson. Nonetheless, by the early 20th century her reputation had diminished. The few modern critics who have given her work attention argue that her work is significant, in part for what it reveals about how Victorian women expressed otherwise repressed feelings. Procter never married, and some of her poetry has prompted speculation that she was a lesbian. She died of tuberculosis at the age of 38.